We fix things before you even know they needed to be fixed. Our Proactive Support provides our customers with an exceptional customer experience by addressing 97.3% of your issues without the need to call or contact AIS. How? We remotely monitor your systems 24/7 so we address issues the moment they occur. 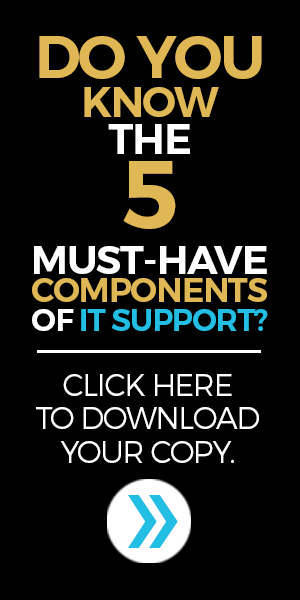 This is a more effective approach than the traditional IT support service focus on break/fix. Our goal is to prevent as many breaks as possible. You don’t have to accept the break/fix model any longer. Your company – and you – deserves more. We are your IT partner. We aren’t simply your provider. There is nothing less effective than the right technology applied to the wrong problem – unless it’s the wrong technology applied to the wrong problem. Before we help you purchase or set you up on our network and IT service, we take the time to understand your business and how it works. THEN, we align our technology support and services to match your business needs. Server downtime crushes a business’ productivity. Avoiding server downtime is a challenge. One of the most difficult IT tasks when maintaining a computer network is trying to predict what will fail and when. With our Down to Business Services solution , we can prevent many network failures from ever happening. By combining regular and comprehensive preventative maintenance and robust real-time monitoring of your critical network and desktop devices, we ensure the reliability and stability of your IT assets. Our customers see results nearly immediately. You wouldn’t drive your car for 20,000 miles without changing the oil. Your IT infrastructure needs regular maintenance too. A regularly maintained network means fewer failures which equals higher productivity and savings on support costs for you. Equally important, your exposure to security risks decrease dramatically. And that underlying frustration with IT that companies know too well – vanishes almost completely. Downtime impact? Are IT outages distracting your staff from their core focus, or prohibiting them from working efficiently – or at all? Increase productivity: In the rare event of IT failure, we’ll get you working again faster because our continuous insight into your network lets us shorten the time from network failure to issue resolution. Reduced business impact from IT failures: Combining preventative maintenance and remote monitoring means we minimize server downtime that could impact your business. Your network behaves in a stable and reliable manner. Reduce network downtime. We focus on proactive, preventative maintenance. Not only does this keep your network operating at peak efficiency; it also reduces the number of emergency incidents you encounter (you know, less downtime). Our complete program provides 24x7x365 network monitoring coupled with an aggressive preventative maintenance component that ensures maximum uptime for your business.